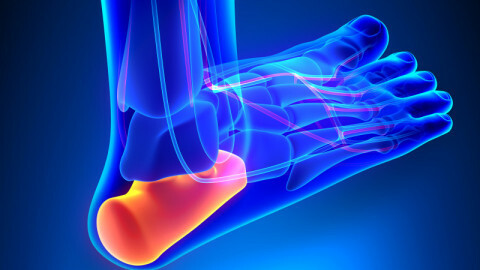 Shin splints are very commonly seen in avid athletes that love to compete in marathons and sprint running. This condition occurs from overuse of the muscle, which is why you need to stop it, before it starts. Below you will learn everything that you need to know about shin splints. The best way to halt shin splints in their tracks is with TT Target tape. This flexible self-adhesive cotton tape is very effective in preventing shin splints, even when running extremely long distances and lightning fast speeds. It is vital that the tape is applied over top of the shin, in the proper manner, in order to get the best results. This product works, by supporting the muscle, without restricting range of motion. It is also designed to work in the most extreme, high humidity conditions, because the strong adhesive backing will stay in place for up to 5 days, without peeling. If you are suffering from a shin splint injury, you can also benefit from TT Target Tape, because it is capable of boosting the healing process. It must be applied along the tibialis anterior muscle and the soft tissue surrounding the muscle, in order for it to work effectively. The tape creates a barrier around the muscle and constrains it from being active and becoming irritated, during activity. It is recommendable you also elevate your leg and apply ice for up to 15 minutes intermittently. TT Target Tape is top of the line kinesiology product that can provide your muscles with the external support required to prevent shin splint injuries. There is no need to halt your exercise or sports activities, because if you apply this tape to the shin area properly, it can prevent further injury and pain. 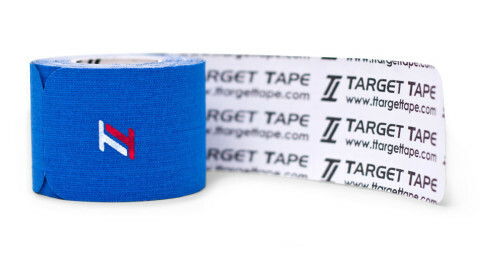 Your range of motion or performance will never be hindered, if you are wearing TT Target Tape. Be sure to check out TT Target tape, today. 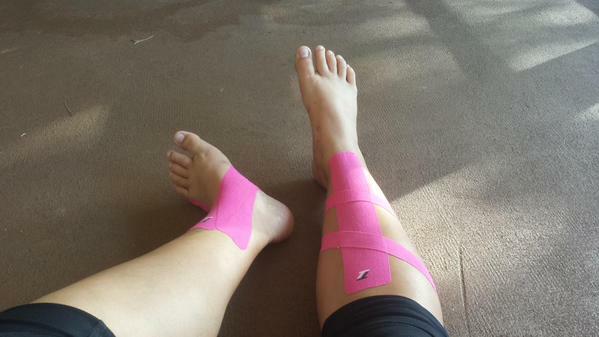 Treating Shin SplintsUse Kinesiology Tape to Treat and Prevent Ankle Injuries!